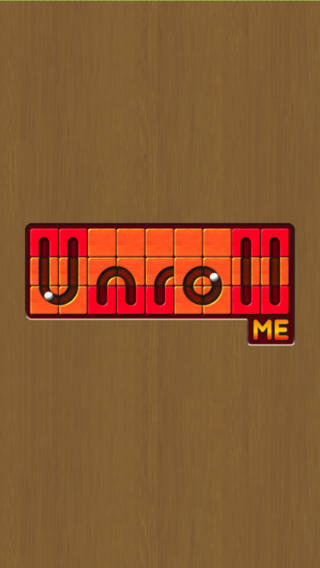 Unroll Me – unblock the slots, developed by Turbo Chilli, is an entertaining puzzle game for the iPhone. Containing many levels with varying difficulties, it challenges both child and adult players whose objective is to guide a small ball to its destination through a series of slots. 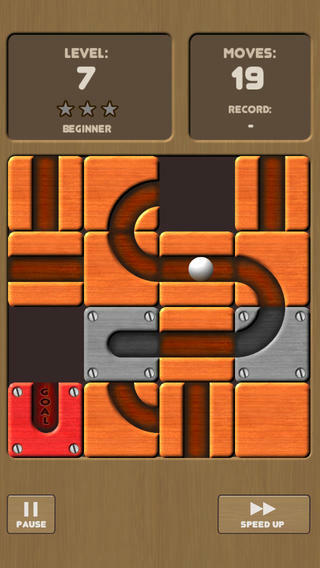 This ball travels rather slowly, and in easier levels players have sufficient time to devise not just any route, but the shortest route, with the game rewarding such economy by stars. Moving the position of the slots left or right, up or down, to craft the ball’s path sounds at first relatively simple. The slots, however, cannot be rotated. Nor can players send slots easily from one side of the level to the other without first rearranging several other slots or even, if necessary, the entire board. At the beginning of each level the game pauses for three seconds so that the player may briefly survey the field, identifying the ball’s initial position, its destination and the numerous pieces which he or she must rearrange. In early levels this pause may be time enough to devise a path; in later levels it may allow only enough time to identify where to position the first slot, after which the user will be forced to work while the ball is moving, his or her mind given entirely to removing obstacles and replacing them with open slots. 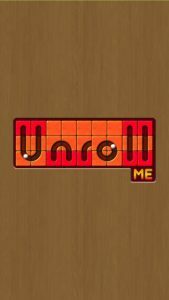 Even though Unroll Me – unblock the slots can be downloaded for free, it is plagued by advertisements. A few dollars will remove these ads and even more dollars will unlock the medium, hard and extreme level packs. Nevertheless, the free content, which is worthy of at least a taste, makes the advertisements tolerable, though they undoubtedly interrupt the game’s fluidity. As for the extra level packs, some users will so enjoy the puzzles that they may pay for them; most users, however, will be content to play only the free levels. 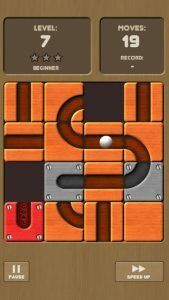 Taken on its merit as a puzzle-game, Unroll me – unblock the slots is certainly a challenge that will, as pressing puzzle-games ought to do, both enrage and delight its players.